UPDATE: The Vogtle Voter’s Guide is out: Check and see if your legislator voted to raise your Georgia Power bills $100 a year upfront for building a nuclear power plant that may not get finished. Big old mess in the middle of the swamp. Twenty-two legislators have written a letter calling on the folks inflicting Georgia Power’s nuclear Plant Vogtle on us to cap the costs. This on top of partners wanting out of the project–even after the Georgia Legislature, PSC, and even the Feds have given Georgia Power everything it wanted in the way of tax breaks, corporate welfare, and other people’s money. Read more. Anyway, the trouble-plagued (how much does it cost now? $27 billion? $30 billion?) 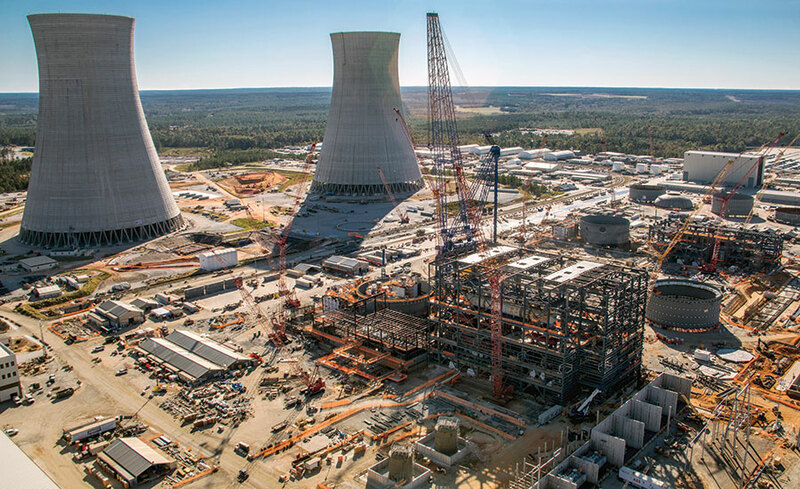 nuclear power plant near Augusta just became a bigger political issue. The letter is somewhat ironic, given that in 2009, it was the Legislature that went over the heads of PSC members and passed legislation that allowed Georgia Power to require ratepayers to shoulder, in advance, some of the financing costs of the project. More on this story as it develops. Promise.